The allegations leveled against Rep. Charles Rangel and others open Democrats up to charges that even as their president preaches change, his party remains mired in traditional policies. Even as President Obama has instituted tough new ethics guidelines for administration officials, House Democrats continue to wrestle with the ethics problems of two of their most senior members—Reps. John Murtha (Pa.) and Charlie Rangel (N.Y.). While neither case directly involves the Obama team, the allegations leveled against Murtha and Rangel open Democrats up to charges that even as their president preaches change, his party remains mired in traditional transactional politics. While top Democratic aides downplayed any link between Obama and the embattled reps, they conceded that having the Democratic lawmakers in charge of tax and defense policy in the House under investigation is not good for the new president or the Democratic leadership on Capitol Hill. “It shows that it’s easier to talk about your ideals during a campaign than to apply them to your administration,” said a Democratic insider, speaking on the condition of anonymity. Rangel, chairman of the Ways and Means Committee, is under investigation by the House ethics committee over his personal finances and his fundraising on behalf of the Charles B. Rangel Center for Public Policy at City College in New York. 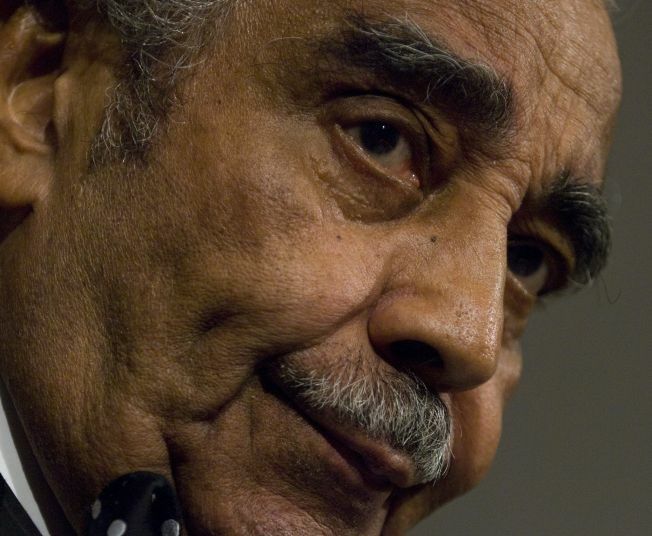 The New York Times recently reported that Rangel helped preserve a lucrative tax break for an oil-drilling company whose pledged $5 million for the Rangel Center. The veteran Democrat—who’s also been the subject of recent stories on his failure to pay taxes on a Carribean vacation home and his holding of four rent-controlled apartments in Harlem—has denied any wrongdoing, but the ethics panel decided to review the allegation. Speaker Nancy Pelosi (D-Calif.) said last year that the Rangel probe would be over by the time the 111th Congress began, but the investigation has dragged on into 2009, casting doubts over Rangel’s political future. Murtha, for his part, may be part of a new federal corruption investigation. Investigators from the FBI, IRS and DCIS on Thursday raided the offices of two Pennsylvania firms, Kuchera Defense Systems and Kuchera Industries, closely linked to Murtha, as well as the homes of the brothers who run them. Bill and Ron Kuchera and their employees have donated more than $65,000 to Murtha’s re-election campaign and PACs during the last six years. The Kucheras’ companies have been awarded more than $100 million in federal earmarks, including more than $8 million in 2008. Murtha chairs the powerful Defense subcommittee of the House Appropriations Committee, giving him say over tens of billions of dollars in defense spending. According to two sources, in recent months FBI agents have begun looking into Murtha’s earmarks and his relationship with lobbying firms and contractors that get those earmarks. Pentagon officials are also studying whether the military is “receiving value” for the federal dollars being funneled into the network of firms. But it is still unclear if Thursday’s raid was aimed at Murtha or the Kucheras, or whether the dramatic action is the opening round of a broader probe involving the Pennsylvania Democrat. During the past few years, the FBI has scrutinized at least one lobbying firm run by a former Murtha aide, although no action was ever taken against that firm. Republicans slammed Murtha during the 2008 campaign for alleged ethical violations, including his involvement in the 1980s Abscam scandal, where he was caught on videotape discussing a bribe with an FBI undercover agent. But Murtha was never charged with any wrongdoing in that case, and he rode to victory this November by a 20-point margin, thanks to strong support from Pelosi and other House leaders. Murtha is one of Pelosi’s closest political allies in the House, and his support was crucial in helping her defeat now Majority Leader Steny Hoyer (D-Md.) in their 2004 battle to become Democratic leader. Murtha’s troubles could touch on the nomination of William Lynn III for deputy secretary of Defense. a nomination that contravenes the ethics guidelines that Obama issued on Wednesday ban lobbyists from serving in his administration. Lynn, a former undersecretary of Defense and aide to Ted Kennedy, is now a top lobbyist for Raytheon, a major defense contractor. Obama waived the rule for Lynn, but Senate Armed Services Committee Chairman Carl Levin (D-Mich.) said his panel wanted to look into the nomination further before voting on it. Lynn, in fact, has ties to Kuchera Defense Systems via a $100 million missile contract awarded to Raytheon and Kuchera by the Pentagon in 2007. Raytheon’s lobbying records show that Lynn lobbied the Appropriations Committee, though he never personally contributed to Murtha or his leadership PAC, according to FEC records. The Lynn waiver brought a public rebuke of the president from Sen. John McCain (R-Ariz.), who has so far has been supportive of Obama’s early moves despite their hard-fought contest last year. “I am disappointed in President Obama’s decision to waive the “revolving door” provisions of the executive order for Mr. Bill Lynn,” McCain said in a statement released by his office.